Here are the top 30 animals books for 12 year olds. Please click Read Review to read book reviews on Amazon. You can also click Find in Library to check book availability at your local library. If the default library is not correct, please follow Change Local Library to reset it. America’s #1 radio talk-show host and multi-million-copy #1 New York Times bestselling author presents a book for young readers with a history teacher who travels back in time to have adventures with exceptional Americans. 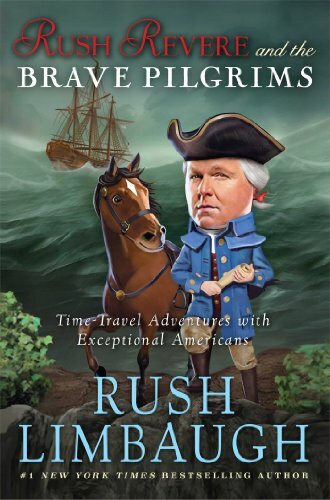 MEET RUSH LIMBAUGH’S REALLY GOOD PAL, RUSH REVERE! Well, you get the picture. But what if you could get the real picture—by actually going back in time and seeing with your own eyes how our great country came to be? Meeting the people who made it all happen—people like you and me? Hold on to your pointy triangle hats, because you can—with me, Rush Revere, seemingly ordinary substitute history teacher, as your tour guide across time! “How?” you ask? Well, there’s this portal. And a horse. My talking horse named Liberty. And—well, just trust me, I’ll get us there. We’ll begin by joining a shipload of brave families journeying on the Mayflower in 1620. Yawn? I don’t think so. 1620 was a pretty awesome time, and you’ll experience exactly what they did on that rough, dangerous ocean crossing. Together, we’ll ask the pilgrims all our questions, find out how they live, join them at the first Thanksgiving, and much more. So saddle up and let’s ride! Our exceptional nation is waiting to be discovered all over again by exceptional young patriots—like you! 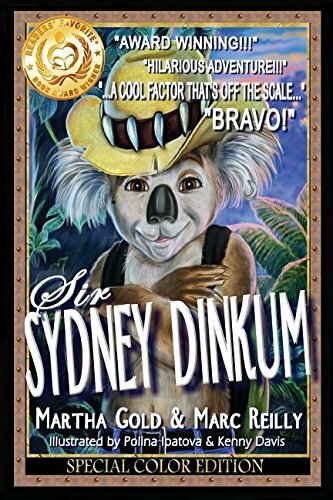 America’s #1 radio talk-show host and multi-million-copy #1 New York Times bestselling author presents the second book in a series for young readers with a history teacher who travels back in time to have adventures with exceptional Americans. THE AMERICAN REVOLUTION HAS BEGUN—AND RUSH REVERE, LIBERTY THE HORSE, AND THE TIME-TRAVELING CREW ARE READY TO RIDE INTO THE ACTION! Join us on this incredible time-travel adventure! Liberty, my wisecracking horse, our old friends Cam, Tommy, Freedom, and I are off to meet some super-brave soldiers in the year 1775. Yep, that’s right. We’ll be visiting with the underdog heroes who fought for American independence, against all odds—and won! But not before eight very real years of danger and uncertainty. Be a part of Rush Revere’s crew as we rush, rush, rush into a time when British rule had become a royal pain, and rebellion was in the air. We’ll be on hand to see two lanterns hung in the Old North Church, prevent a British spy from capturing Paul Revere, and grapple with danger at the battles of Lexington, Concord, and Bunker Hill. The extra special part of this trip is that right here in the twenty-first century, Cam’s dad is a soldier fighting in Afghanistan, and Cam has been pretty angry that he is away. Visiting with exceptional American heroes like Dr. Joseph Warren and George Washington, racing along after Paul Revere on his midnight ride, and seeing the Declaration of Independence signed make Cam see his own dad in a new and special way. But don’t worry. Along with the danger, excitement, and patriotism, there will still be time to stop for a delicious spinach, oats, and alfalfa smoothie. No, wait—that one’s for Liberty. The kids and I voted for strawberries. Now let’s open the magic portal to the past! A foxhound has spent her life behind bars, known only by the PZ-5934 tatoo in her ear. 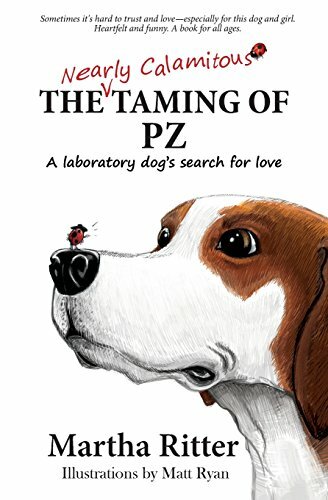 In this story inspired by the life of a real lab dog, PZ knows nothing but a laboratory cage. She has never even seen the sun. But a superpowered diva ladybug named Dottie changes all that. The unlikely pair undertake a hilarious and adventurous road trip through civilization and finally find a home with Olivia, a restless, solitary girl, who has secrets of her own. Unexpected adventures await the dog, the girl, and the ladybug, as a shocking, hidden part of their town reveals itself and everyone must sort out when to trust and when to battle. The Nearly Calamitous Taming of PZ–lyrical and approachable, with resonant details–has both humor and heart. Although intended for children eight through twelve, its classic unfolding and off-beat characters tickle the fancy of adults as well. It is both an adventure story and a tale with many layers–about overcoming obstacles, mining experience for what matters, and doing what is necessary, though not always desirable, for friendship. Ultimately, it is about the joy of a hard-won connection. 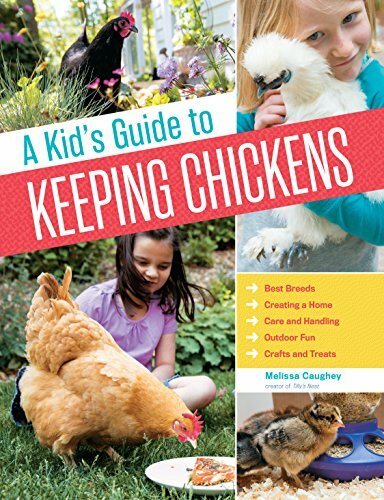 Chickens make wonderful pets, and Melissa Caughey provides all the information kids need to raise healthy chickens and have lots of fun doing it. 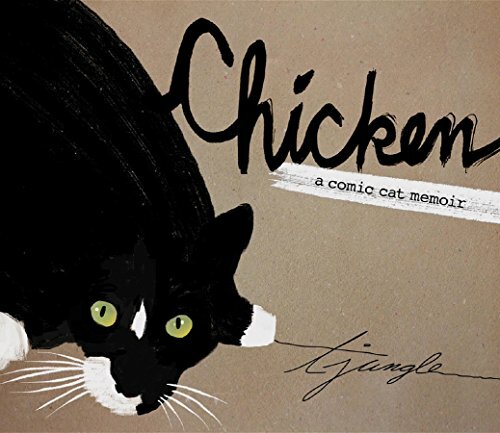 Covering everything from feeding, housing, and collecting eggs to quirky behaviors and humane treatment, Caughey’s engaging advice helps children understand the best ways to care for their chickens. Spark enthusiasm with creative activities like chicken forts and a veggie piñata for the flock, and feed more than the imagination with egg-centric dishes like Mexican egg pizza. 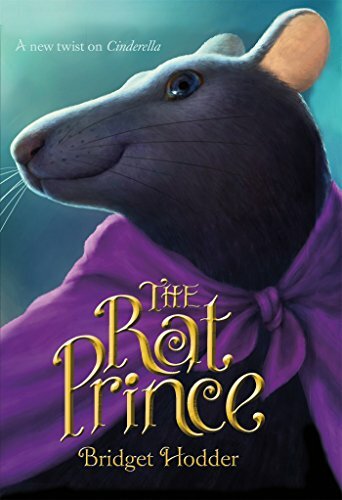 The dashing Prince of the Rats–who’s in love with Cinderella–is changed into her coachman on the night of the big ball. And he’s about to turn the legend (and the evening) upside down on his way to a most unexpected happy ending! 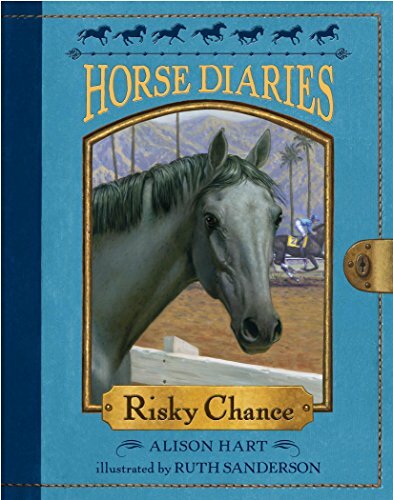 For all lovers of horses and history, it’s the next book in the popular Horse Diaries series. Born in California at the start of the Great Depression, Risky Chance is a gray thoroughbred who was born to race. Life at the track and being spoiled by his jockey’s young daughter, Marie, is all Chance could ask for. He loves nothing more than running fast and winning. But after an accident, Chance discovers a side of horse racing that has little to do with glory. Like Black Beauty, this moving novel is told in first person from the horse’s own point of view and includes an appendix full of photos and facts about thoroughbreds, horse racing, and the Great Depression. A bold re-envisioning of The Odyssey, told with simplicity and style — perfect for fans of graphic retellings and mythology enthusiasts alike. 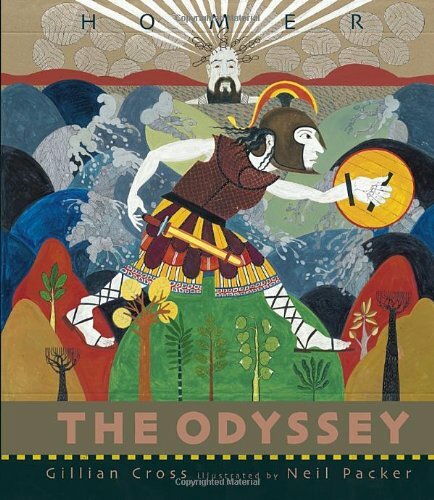 Odysseus faces storm and shipwreck, a terrifying man-eating Cyclops, the alluring but deadly Sirens, and the fury of the sea-god Poseidon as he makes his ten-year journey home from the Trojan War. While Odysseus struggles to make it home, his wife, Penelope, fights a different kind of battle as her palace is invaded by forceful, greedy men who tell her that Odysseus is dead and she must choose a new husband. Will Odysseus reach her in time? Homer’s epic, age-old story is powerfully told by Carnegie Medalist Gillian Cross and stunningly illustrated by rising talent Neil Packer. 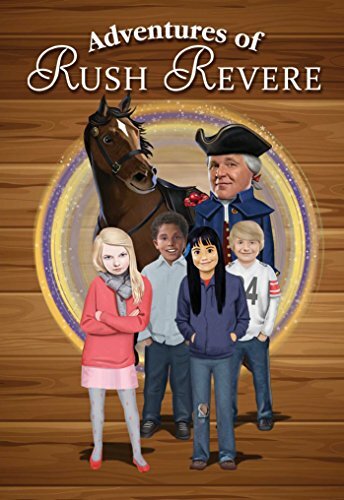 Saddle up with Rush Limbaugh’s really good pal Rush Revere, his wisecracking horse Liberty, and the whole Time-Traveling Crew for an epic American history adventure with this special boxed set edition of the New York Times bestselling series for young readers. 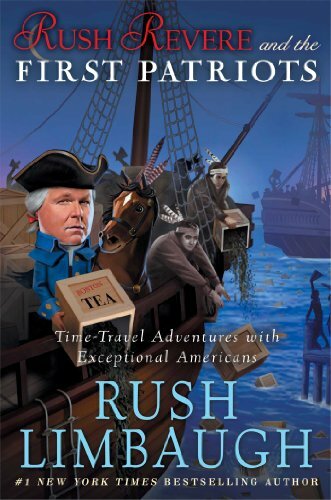 Rush Revere and the Brave Pilgrims: Hold on to your pointy triangle hats. We’ll begin by joining a shipload of courageous families journeying on the Mayflower in 1620. Yawn? I don’t think so. 1620 was an awesome time, and you’ll experience that rough, dangerous ocean crossing too. Together, we’ll ask the pilgrims all our questions, find out how they live, and join them at the first Thanksgiving. Rush Revere and the First Patriots: Jump into the bustling streets of Boston in 1765, where talk of revolution is growing louder. You’ll meet fierce supporters of liberty, such as Samuel Adams, Benjamin Franklin, and Paul Revere, as they fearlessly defy British rule. It’s an exciting, turbulent, thrilling time to be an American. 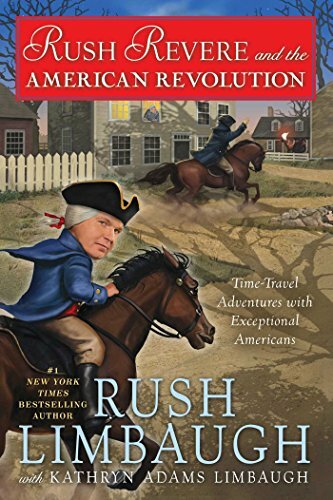 Rush Revere and the American Revolution: We’re off to meet some super-brave heroes who fought for American independence in 1775, against all odds—and won! We’ll be on hand to see two lanterns hung in the Old North Church, prevent a British spy from capturing Paul Revere, and dodge musket balls at some famous battles. 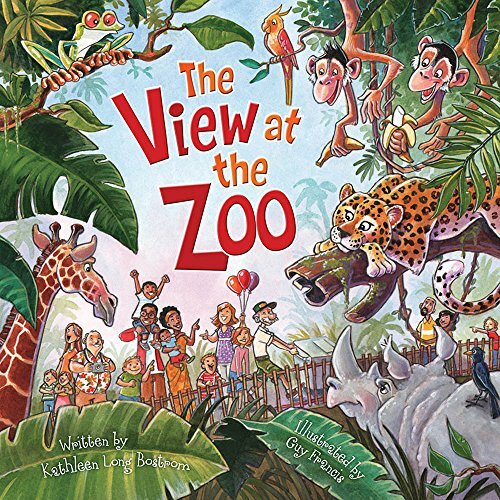 With a clever twist of text and bright and festive illustrations, this picture book will have children begging for a trip to the zoo. Ages 4 to 8. Onboard a vessel that would make Jacques Cousteau green with envy, the Cat and Co. take to the high seas in search of whales, dolphins, and porpoises—those aquatic mammals known as cetaceans. 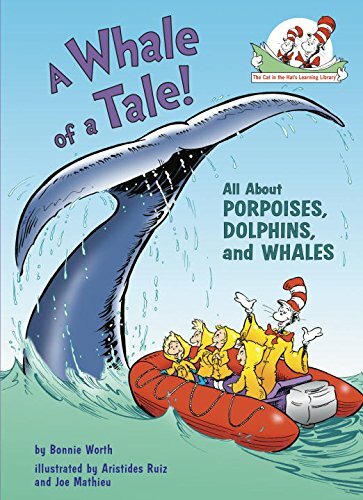 While learning how cetaceans stay warm without hair, have teeth or baleen, swim in troops, spyhop, spin, breach, and see via ecolocation, kids are introduced to almost 20 different species—including sperm, right, humpback, and blue whales; Gulf, spectacled, and finless porpoise; and boto, common, hourglass, and bottlenose dolphins. A shipshape selection for summer reading! Looking for some great summer reading material? 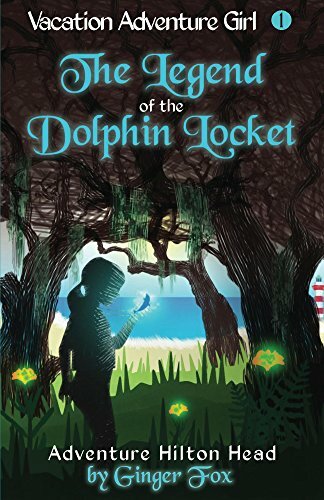 Then check out Adventure Hilton Head: The Legend of the Dolphin Locket, the first installment in the new “Vacation Adventure Girl” series. Book Description: School’s out for Maddie Mackenzie, which means it’s time for a vacation to her favorite spot: Hilton Head Island! But when she gets there, she finds that something’s amiss. Strange wildfires breaking out in the forests. Dolphins being driven from the island. And ten-year old Maddie is determined to uncover just what’s behind it. Join Maddie on a vacation adventure unlike any she’s had. One that takes her to a magical part of the island she never knew existed and puts her right at the center of a battle that threatens to destroy the place she loves so dearly. “This book is a page turner! Loved the references to Hilton Head. The friendship between the two girls and the mystical creatures of Hilton Head were so magical!” —- Jennifer B. Head over to vacationadventuregirl.com to learn more about this refreshing new girls chapter book series! 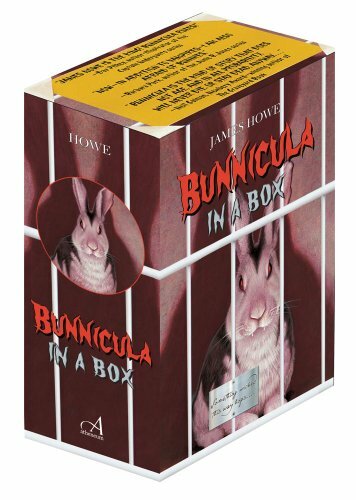 This animated book is blowing kids’ minds! Hovering a mobile device over the images in the book BRINGS THEM TO LIFE with animated and educational videos. Works with the FREE interactive Augmented Reality app, Pacha Alive. The videos feature the voices of celebrities including Cheech Marin, Mos Def, Talib Kweli, Agape Youth Choir and 30 young artists. Pacha’s imagination is bigger than the Andes Mountains, homeland of her ancestors. 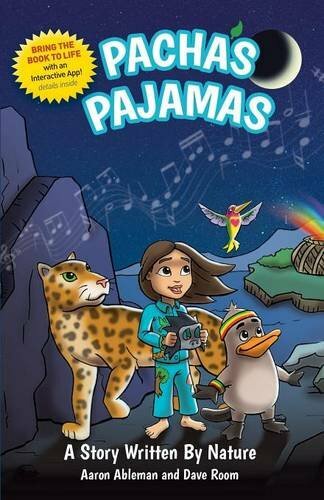 The plants and animals on Pacha’s PJs come alive in her dreams and she journeys with them to learn more about herself. 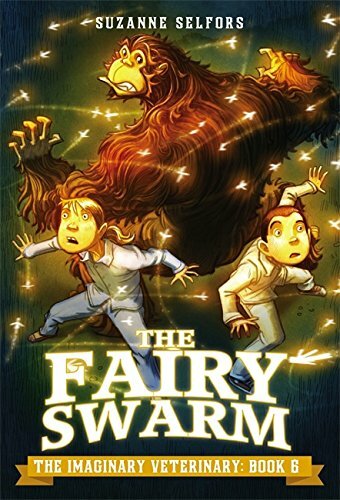 After a stress-induced asthma attack, her magical pajamas carry her into an epic dream where she encounters a handful of critters lamenting the state of their home. Disguised as a little gorilla, Pacha joins in and together they decide to organize a Nature Festival that brings all species together. Full of musical plants and dancing animals, the PACHA JAMMA festival is a worldwide call-to-action to save the planet from destruction. Despite her reluctance, Pacha is chosen to be the Director of Action over an infuriated Mr. Tick, President of the New Food Order, which seeks to support the continued growth of the human population and settlements. Pacha senses that the angry tick is scheming to disrupt PACHA JAMMA. With the help of her plant and animal friends, Pacha races against time to decipher a cryptic puzzle which outlines Mr. Tick’s dastardly plans. Just as she solves the puzzle, a massive hurricane hits PACHA JAMMA. While waiting out the storm, Pacha discovers Mr. Tick’s underground hideout, where she learns the full extent of Mr. Tick’s plans. After the storm, the festival jubilantly reopens with a great feeling of connectedness across all species. But Pacha has a hard time celebrating knowing Mr. Tick’s intentions. Can Pacha pull together a team to stop Mr. Tick’s plans to disrupt PACHA JAMMA? The book includes lyrics of tens of award-winning songs and a Dream Journal for recording dreams. A city savvy stray cat named Pretty Boy has always managed to make it on his own. He’s as vain as they come, and he won’t admit to being dependent on anyone. But as he discovers the pleasures of friendship, he learns that home really is where the heart is. Or, at the very least, home is where his friends are. And with friends all around New York City, Pretty Boy will always have a place to call home. 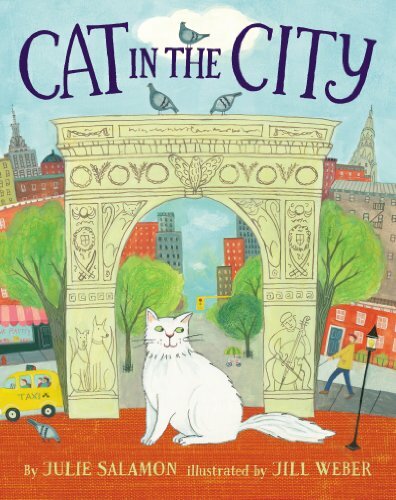 The author and illustrator team who brought us the New York Times bestseller The Christmas Tree introduce an unforgettable animal adventure in the tradition of A Cricket in Times Square and The One and Only Ivan. 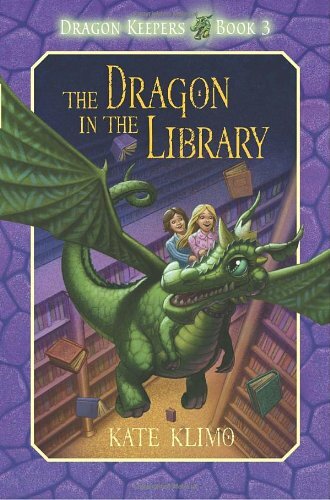 The result is a story that will captivate readers of all ages with its warmth and wit. Winter’s here, and there’s a carpet of deep snow covering the Green Forest and the nearby meadow — which means Reddy Fox and Granny Fox are having trouble finding food. Reddy, of course, is full of reckless ideas, such as getting into Farmer Brown’s chicken house in daylight. 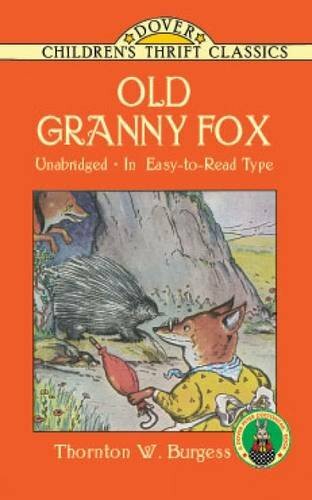 Using the wisdom she’s acquired over the years, Granny overrules many of Reddy’s foolhardy suggestions, taking the conceit out of a youngster who thinks he knows more than anyone else. Granny also teaches Reddy quite a bit about patience, common sense, and resourcefulness. It’s winter, and Wolf, Torak’s beloved pack-brother, has been captured by an unknown foe. 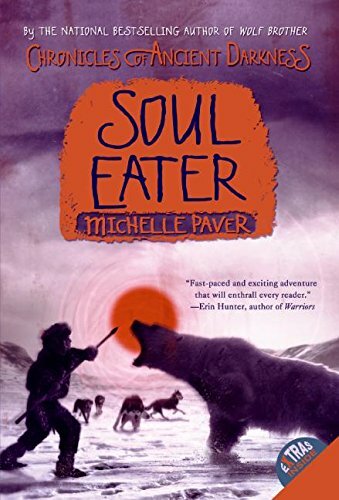 In a desperate bid to rescue him, Torak and Renn must brave the frozen wilderness of the Far North. 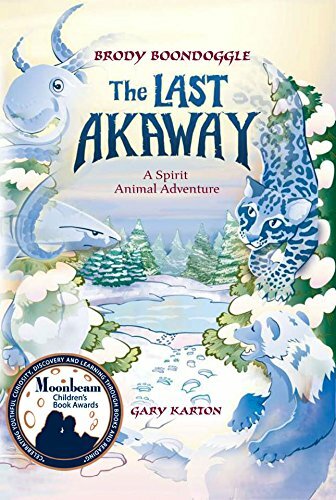 As they battle for survival amid howling blizzards and the ever-present menace of the great white bear, their friendship is tested to the breaking point, and Torak is forced to get closer to his enemies than ever before. . . .
Against the backdrop of the high-moneyed and sometimes unscrupulous equestrian sport of show jumping, Finny, a fifteen-year-old girl in California, adopts an emaciated, untrained horse without her parents’ knowledge. Soon after adopting Sky, Finny meets Joe, a sixteen-year-old, who has run away from his cruel uncle in Montana. 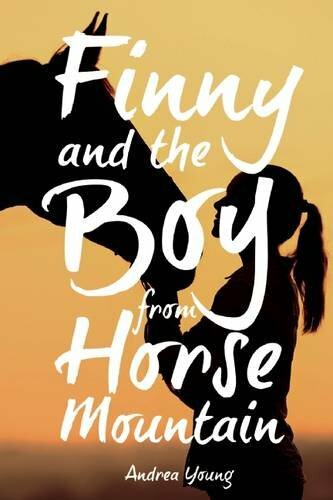 His love for horses and desire to be a trainer match Finny’s dream of competing in the show jumping arena?against rich girls on fancier horses?and together, they train Sky to become a first-rate show jumper. But the path is fraught with danger. Sky is not like other horses and is so destructive and difficult he gets them kicked out of the barn where Finny has been working and training. Helped by a kind woman who owns a horse rescue, Joe is able to prove both his and Sky’s incredible talents. When Joe is kidnapped by his violent uncle, Finny and Sky are the only ones who can save him. In a breathtaking finale, Sky and Finny must enter the underworld of the rodeo circuit, an after-hours, illegal race, where they will risk their lives to save the boy they love. Young demonstrates a masterful ability to set a breakneck pace and keep it up until the end of the novel. Finny and Joe are enduring characters who are sure to appear in upcoming sequels. 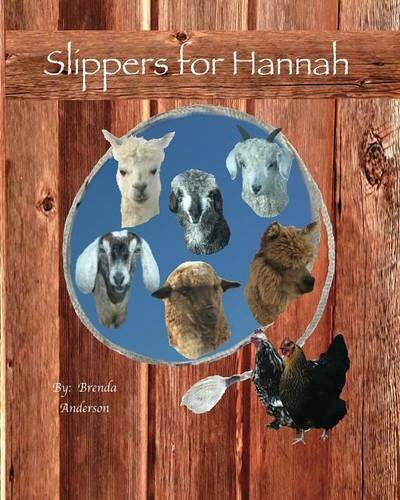 Slippers for Hannah is a favorite of my Grandchildren. They love the pictures of the live farm animals and enjoy the story as the animals try to help one another solve a problem in the barnyard. As I have read this book to schools, library story hour and other events it is so cute how the children come up with solutions of how they would work out this problem. The story line is fun and uplifting as the animals show friendship and love to one another. This is a fun story that can be enjoyed over and over. The animals of Mistmantle have enjoyed a long period of peace and prosperity since the violent Raven War. Their tranquility is disrupted when tidal waves threaten to destroy the island. 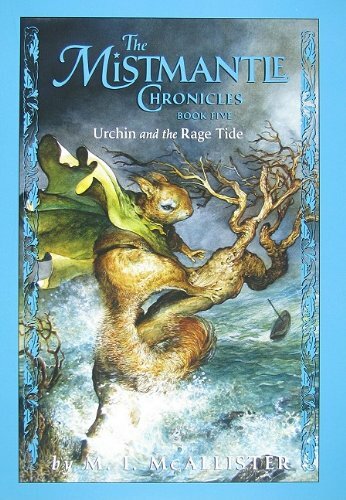 Mossberry, a squirrel with delusions of grandeur, sees the impending disaster as an opportunity to rise to power…and his reckless decisions will put many citizens in harm’s way. Urchin of the Riding Stars must stop Mossberry and usher everyone to safety before it is too late. Along the way, the ultimate sacrifice must be made for the survival of all. 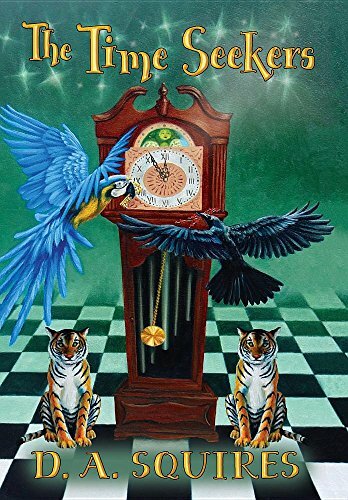 Deeply moving and packed with adventure, this is a fitting conclusion to the beloved Mistmantle Chronicles. As Ace and John, two friends, are searching for holiday gifts in London, they come across a lion cub for sale in Harrods, the famous department store! Unable to bear the thought of leaving the cub, Ace and John take him home and name him Christian. 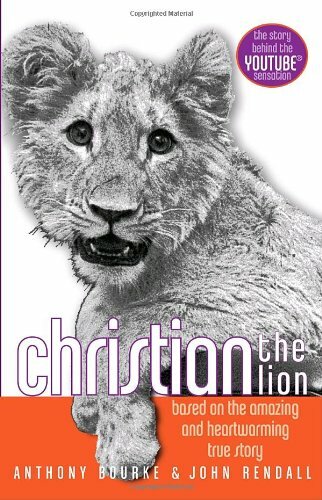 After a year of fun and mischief Christian has grown up, and Ace and John realize that their pet needs to be among other lions and deserves to live free, in his natural environment. Luckily, friends help introduce Christian to the African wild. Christian the Lion tells the riveting true story of one animal’s ability to adapt to life in the wild, and captures the unexpectedly enduring connection between man and animal. Cody Cowboy rides into town in his debut adventure! 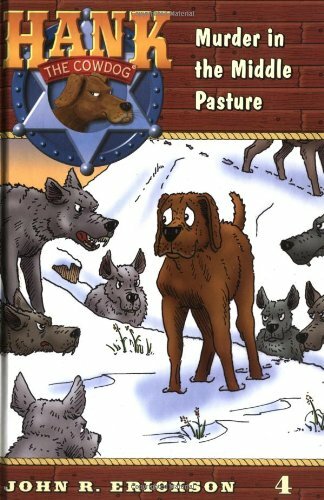 The first in a planned Cowboy Ranch series, Cody Cowboy introduces Cody, his fun family, and his quirky animals to young readers everywhere. Cody works hard at the Cowboy Ranch. Every morning he feeds the cows and horses and looks after the old rooster, Shaggy, and the dogs, Otis and Gibbs. One day, the whole family heads into town for the county fair. Cody enters his family’s cows in the fair, but he’s nervous about the competition. Complicating matters is his mischievous little brother, Clint, and Clint’s high-spirited pony, Boloney. Readers will follow Cody as he makes new friends, looks after his younger brother, and chases after Boloney. Throughout the book, author Kim Anderson Stone promotes positive values like a strong work ethic and personal responsibility. Cody is a wonderful role model for young readers. With simple story lines and charming characters, Cody Cowboy is also a perfect stepping-stone on the road to longer books. 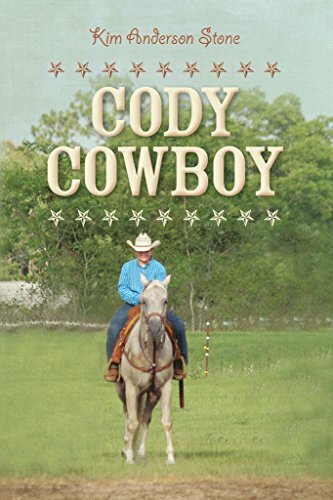 For parents looking to transition their children from picture books to chapter books, Cody Cowboy is a winner!